This is the story of Mary*, a single mother of two children, ages five and eight. Last year, Mary lived with her kids in a shelter for domestic violence survivors, and last July, one of ParentJobNet’s Harlem programs accepted her into a paid apprenticeship. This program fine-tuned Mary’s office skills and prepared her for more job training. A couple months later, she was accepted into a five-month training program to become a certified Administrative Office Manager. This past February, Mary graduated from the program at the top of her class. Her next stop? Completing her college degree. ParentJobNet – a non-profit that works with public school parents to prepare job readiness and make job connections – worked with Mary every step of her journey. While in training, ParentJobNet paid Mary a living wage stipend and eliminated all barriers to her success. 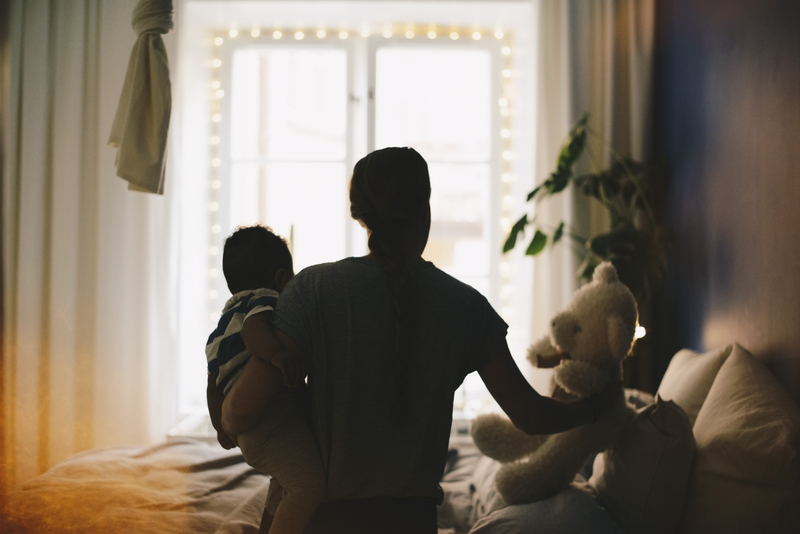 Mary’s journey with ParentJobNet will continue for as long as it takes to help her become completely self-sufficient and secure a financially stable home environment for her family. According to Pat Craddick, the founder and executive director of the company, ParentJobNet’s involvement continues long after a client is placed on a job. We spoke with Craddick, a single mother herself, to learn how the company works to create financial stability for low-income families and why this kind of support for families and single mothers in need is of vital importance. HelloGiggles (HG): Mothers are returning to the workforce now more than ever, up from 47% in 1975 to 70% in 2014. What is your personal experience with this statistic? Pat Craddick (PC): In general, I think that the increase supports the fact that more mothers are returning to the workforce because the cost of living to support a growing family is astronomical, while some who are fortunate enough to not worry about a paycheck choose to go back to work for a sense of career satisfaction. For many of our clients, going back to work isn’t an option — it’s a necessity. We serve a low-income demographic, some of whom live paycheck-to-paycheck, have limited workforce skills, and are experiencing a cycle of generational poverty. Our job is to move them off the system they often rely on for years — one that’s costing tax payers millions of dollars — and into rewarding jobs while giving them a sense of self-worth and self-reliance. Their children then view them as role models striving to become like them or better, thus breaking the cycle of generational poverty. 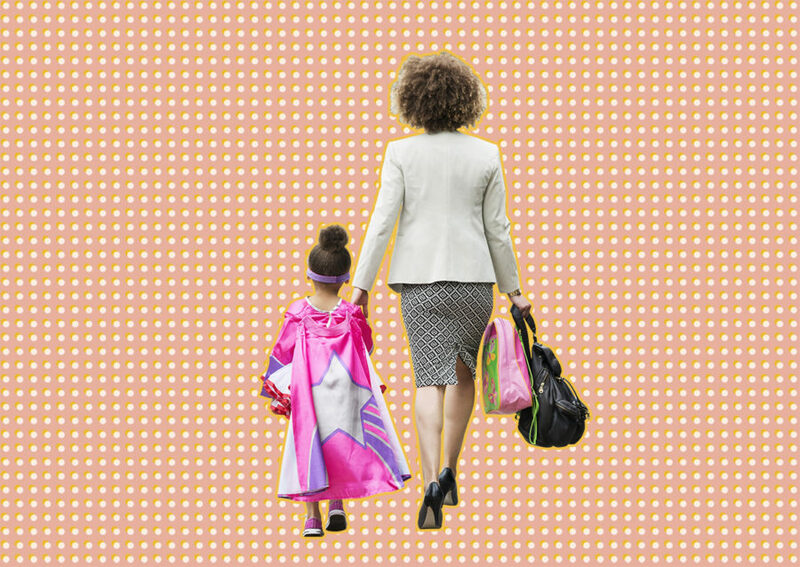 HelloGiggles: How do you and your team empower mothers to enter the workforce? PC: First, we believe that empowering parents (especially mothers) to become financially stable leads to more constructive lives for their families, and strengthening the economic security of parents promotes the well-being of their children. When we invest in parents, we’re investing in their children and strengthening families as well as the entire community. For over 13 years we have worked in NYC Public Schools to prepare and empower mothers to enter or re-enter the workforce by giving them free onsite access to one-on-one career counseling, job readiness workshops, job placement services, financial literacy [classes], adult literacy [classes], and networking events. We work in NYC Elementary Public Schools to reach low-income parents (especially mothers) after drop-off, giving them access to workforce programs and services offered free of charge. While our mission was created to serve low-income public school mothers, we are open to serve all public school parents who need our service. 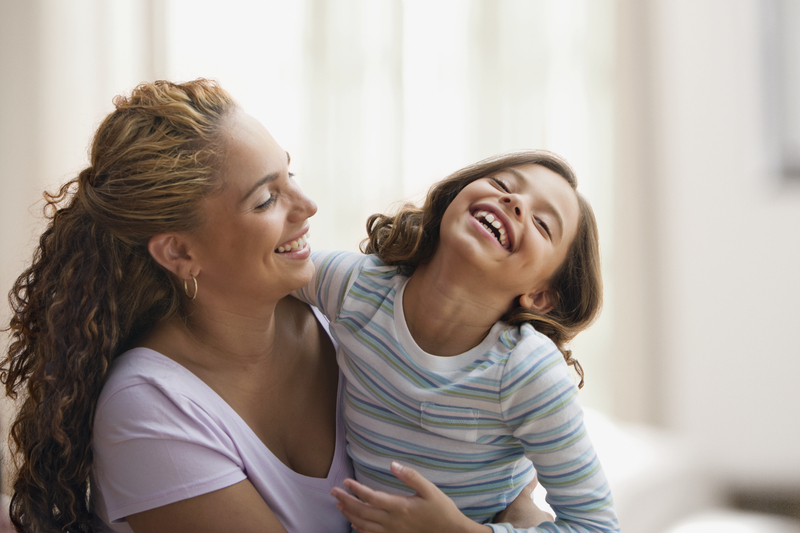 Our mission is to help parents build financially stable homes to help their children succeed. Our most unique and critical offering is our ability to get parents who have been out of work or underemployed ready for job training and job placement opportunities. Oftentimes, our clients do not have the degrees or skills to even be accepted into a well-regarded training program. So, we work with them through our various workforce programs to get them job and/or training ready. Our program is located in public schools for many great reasons, as it allows parents to engage more in their school community and serves as a one-stop-shop approach to finding jobs and educational programs. After parents drop off their children at school, they can attend workforce classes and get the job placement help they need onsite. HG: As a single mom yourself, what does this company and this mission mean to you? PC: As a single mother, the mission means the world to me and the organization has transformed my life. As Executive Director and Founder, ParentJobNet has allowed me to become a change agent having a direct impact on other single mothers and families. I’m helping to transform their lives and giving them hope for a brighter future, just like it has done for me. Having an impact on over 16,000 families over the years, the organization now focuses on Harlem based public schools with plans to scale its programs across the Tri-State area and beyond. HG: How does the WeWork Harlem location function as a resource to inspire your clients? PC: We have two offices with WeWork — Midtown where we house our corporate office and Harlem where we have our program administrative office. We are very appreciative of WeWork opening a Harlem location, which has meant so much to our growth this past year with 70 job placements. With WeWork Harlem as our program’s administrative hub, we have now grown to working with 27 public schools in Harlem. This is ParentJobNet’s 13th year and our success with WeWork Harlem has played a big role. Every day, we are connecting with more and more potential employers for the benefit of parents — developing mutually beneficial partnerships with excellent employees for them, and good jobs for parents. Our WeWork offices help us develop our partnerships while reaching parents and neighborhood entrepreneurs to provide paths to growth and financial stability. We see the WeWork community as invaluable to our mission. We expect to deliver big things for the Harlem public school community in the next couple of years — connecting hundreds of public school parents to jobs and helping to lift their families out of poverty. We are ready to deliver and we think our program approach can be scaled to reach public school parents throughout the NYC public school system and beyond. As we scale to other cities, we plan to continue using WeWork workspaces as satellite offices to support our mission. HG: 60% of working mothers say it is difficult to maintain a balance between the demands of their career and the demands of raising a family. How do you help prepare mothers for this balance? PC: I know firsthand how work-life balance could become a big challenge for working mothers. That’s why we are working hard to find companies that offer flexible work hours for our clients. We generally seek jobs that work with the schedules of our clients, typically from 9 a.m. to 2 p.m. (after drop-off and before pick-up) or online jobs with flexibility. For those who must work full-time, we have an after-school program that provides their children a safe and nurturing place to go. Mothers are the backbone of the family unit; we solute all mothers who are dedicated to providing a strong economic foundation for their children to succeed. You can contact ParentJobNet at info@parentjobnet.org or 212-362-2735 if you wish to partner, sponsor, or make a tax-deductible donation. *Mary’s real name was changed for this story.